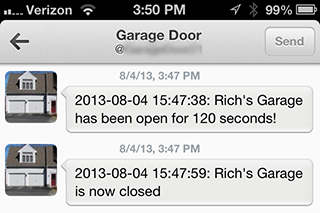 This section describes how to configure email, Twitter, and SMS alerts in pi_garage_alert. If you haven’t already read part 1 of this series, please read it first. At some point, most everyone forgets to close their garage door when leaving work, or wonders if they closed it before leaving for vacation. 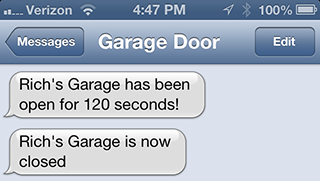 In this series of posts, I’ll be covering how to easily build a system to notify you by email, tweet, or SMS if your garage door has been left open.